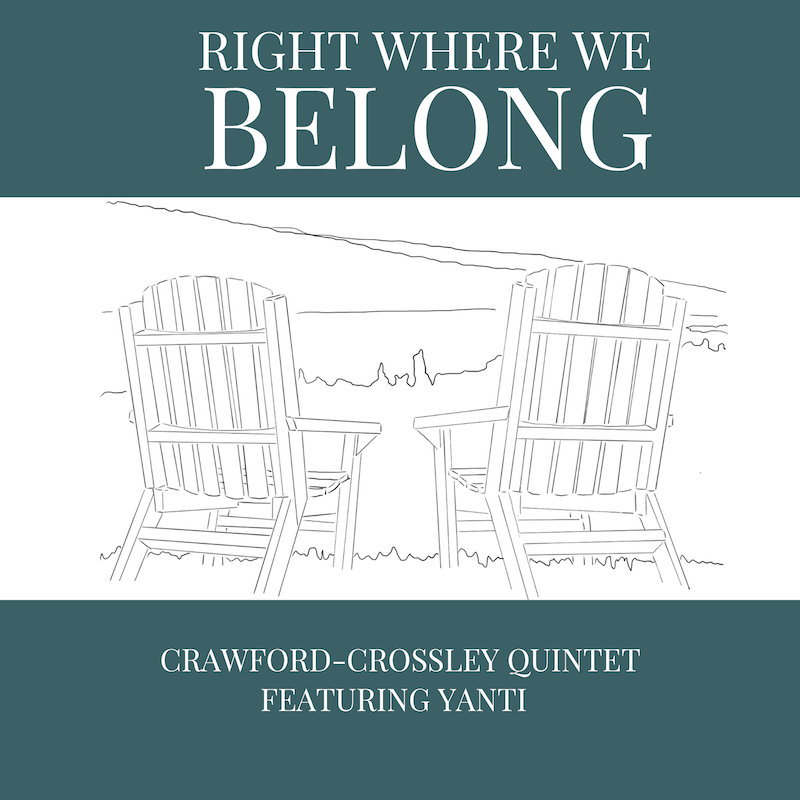 Yanti ~ Vocals, Larry Crawford ~ horns, Stefan Bienz ~ Bass, Allan Crossley ~ Piano, Scott Gamble ~ Drums - Check out the audio links and 'liner notes' below. Also on Google Play and other music services such as Spotify, YouTube, Deezer, Pandora, etc. Search for "Right Where We Belong Allan Crossley" or some version of that. Excited to be releasing our second CD of Larry and Allan originals. If you're interested in my ramblings about how it all started, check out our first release "Images of You" notes. The tracking was done at my house and then we decided to raise the bar and mix at BiG Audio Productions in Kelowna; that was a great descision - Bob Gabelhouse is a wizard! His attention to detail was inspiring and his ears picked up on so many little details that had escaped my notice. I think the results are amazing. Thanks, Bob! Thanks as always to Tracy for critical input at the formative stages of the song - she can zero in on a bad phrase faster than anyone I know. Also to Lorne for his input and 'fresh ears' on the songs along the way. Of course Larry, Scott, Stefan, and Yanti, good friends and great musicians! Larry wrote this tune for Debi. I tried to capture those awkward beginning moments in a relationship. Get that umbrella on, watch the classic Singing in the Rain tune. Punchline, "The world's at my feet, Life is complete, Livin on easy street, When I'm with you." Larry's tune somehow conjured up an image of one of those 60's artsy film scenes - girl running through field of flowers, arms out wide, spinning in circles, hair blowing in the wind . . .
That first magical night. Which lasts a lifetime . . . This song could have been subtitled "Prince Rupert in February" Or substitute whatever place you find yourself in on a dreary-dismal-damp-cold winter day. And NO, the references to various band members in not in any way reflective of ANY of my musician friends. Hanging around with the bassist would certainly bring on disease . . .
Any reference to persons living or dead is purely coincidental . . . etc.